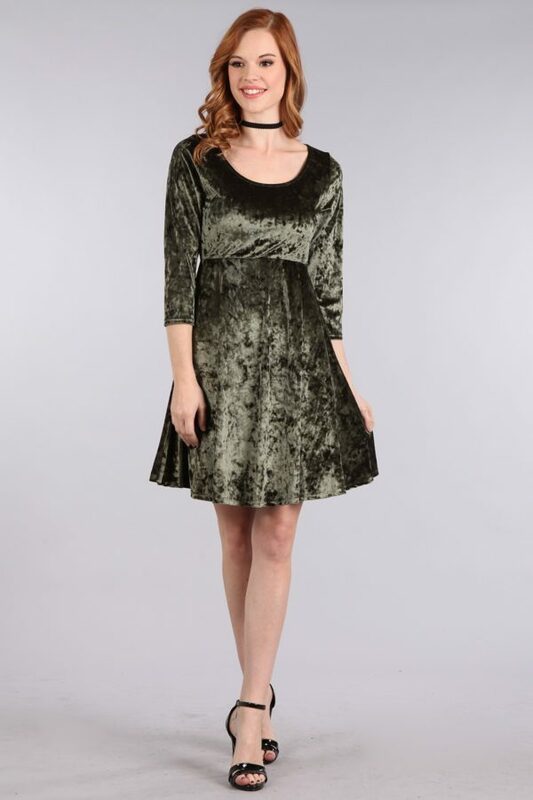 You’ll be the cat’s meow in the Retro A-Line Cat Dress! Look amazing and feel amazing as you strut your stuff in this retro-inspired a-line dress. This dress features a collared and padded bust with lining, one inch wide straps, and a tie back detail. 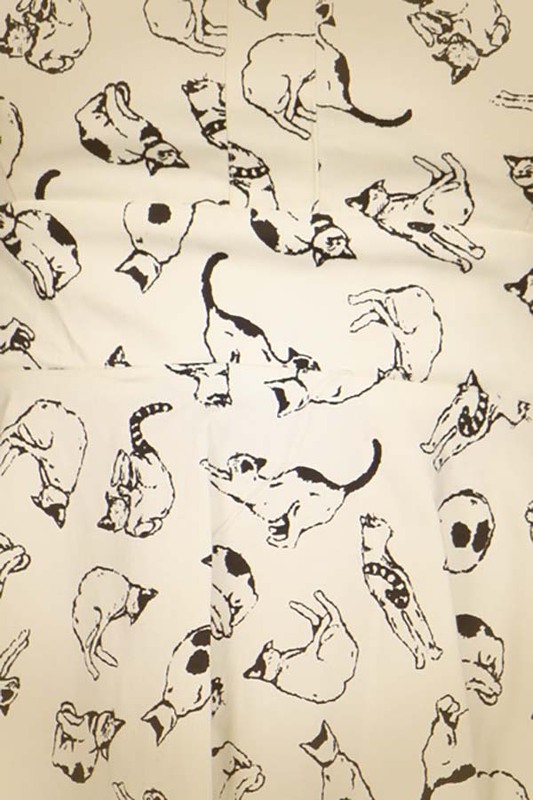 In addition to all of this, the dress also has an adorable retro cat print on an off-white cotton-blend fabric. Your dress should fit closely at the top and flare out from the waist in the classic a-line style. The length of this dress typically fits just above the knee. The open back and straps make this a great dress to wear during the summer months. The breathable cotton fabric will also help to keep you cool. You can add a splash of color to this dress with a tied shirt or a colorful cardigan. Depending on your footwear, you can wear this dress more formally, or casually. Pair it with sneakers or flats for a more casual look. Rock some funky heels for a more rockabilly look. Or, wear a simple pair of pumps for a more formal occasion. You could also wear this dress to work when paired with a smart cardigan and a sensible pair of flats.